Holy Week in Seville (Semana Santa de Sevilla) is an annual festival, with origins in the fourteenth century, lasting from Palm Sunday to its culmination on Easter Sunday. The scene painted by Jimenez y Aranda takes place in the Patio de los Naranjos (Patio of Orange Trees), next to the Giralda Tower. Floats, processions and sermons took place throughout the entire city during the ancient ceremony. 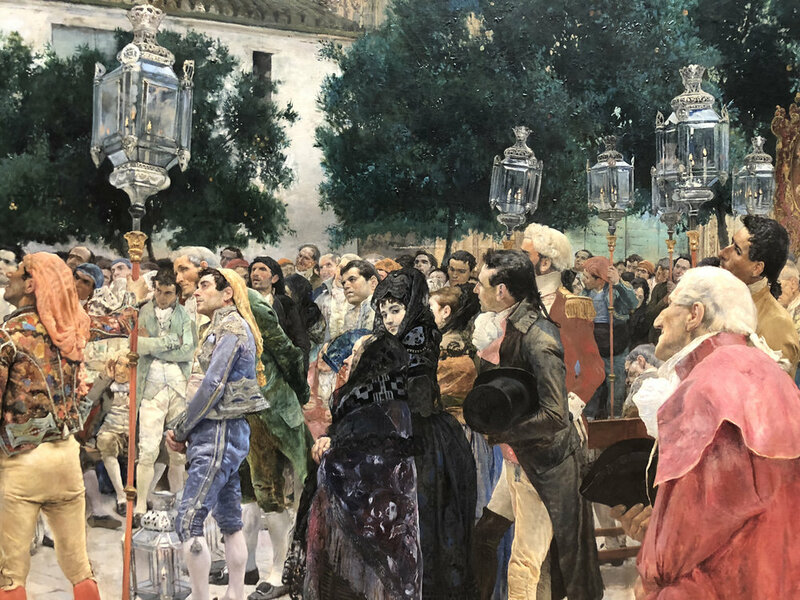 For an imaginative tale (told by Ivan in Dostoyevsky’s The Brothers Karamazov) of a religious incident in Seville at the time of the Spanish Inquisition, click HERE.